Chemtrails are a planetary issue that threatens the health and well being of all Humanity. The Chemtrail Protection Star Team is designed to protect those who are linked up to it from experiencing the many health threats from Chemtrail Poisoning. Although there are many health threats both mild and serious from Chemtrail Poisoning, cold, flu and allergies are the main symptoms that most people experience. The Chemtrail Protection Star Team will protect you and your family WITHOUT having to take any products, medicines or changes to your lifestyle. But, for those of you who choose, for whatever reason, NOT to be protected by the Chemtrail Protection Star Team, there are many home remedies that can help people deal with Cold and Flu symptoms. 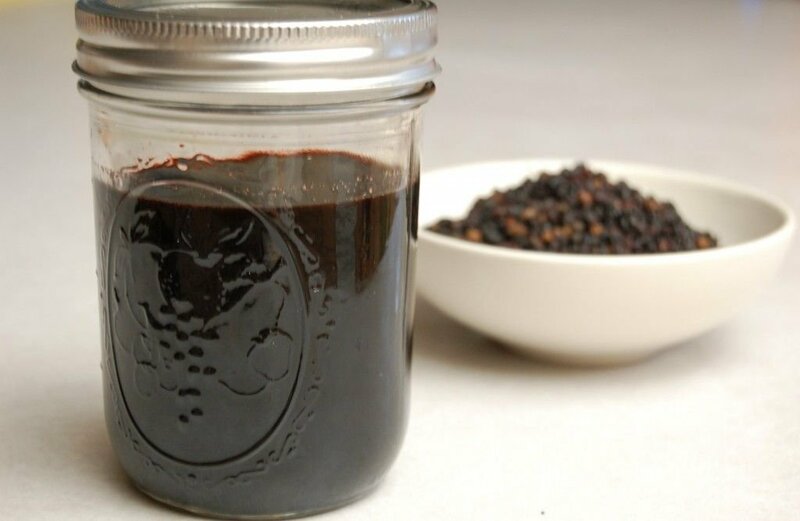 Elderberry Syrup is a home remedy with a long history for relieving Cold and Flu Symptoms. If you need more information, it is just a "Google" away for tons of information about its history, its benefits and its usage. For now, I have provided some initial information and two different recipes, one for fresh Elderberries and dried Elderberries for your review. Elderberries (Sambucus) have a long history as a folk cure for a variety of ailments. 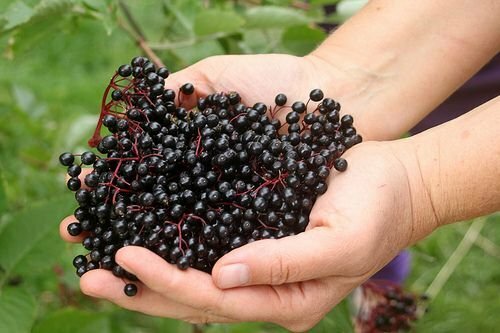 Elderberries have been a folk remedy for centuries in North America, Europe, Western Asia, and North Africa, hence the medicinal benefits of Elderberries are being investigated and rediscovered. 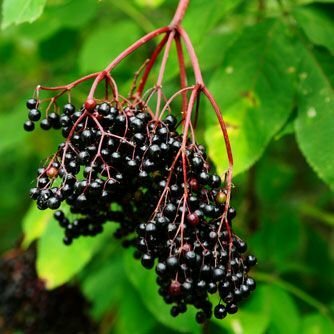 Elderberry is used for its antioxidant activity, to lower cholesterol, to improve vision, to boost the immune system, to improve heart health and for coughs, colds, flu, bacterial and viral infections and tonsillitis. Bioflavonoids and other proteins in the juice destroy the ability of cold and flu viruses to infect a cell. People with the flu who took Elderberry Juice reported less severe symptoms and felt better much faster than those who did not. When used within the first 48 hours of onset of symptoms, the extract has actually been found to reduce the duration of the flu with symptoms being relieved on an average of four days earlier. During the 1995 Panama flu epidemic, the government actually employed the use of the Elderberry to fight the flu. Help your body fight disease. 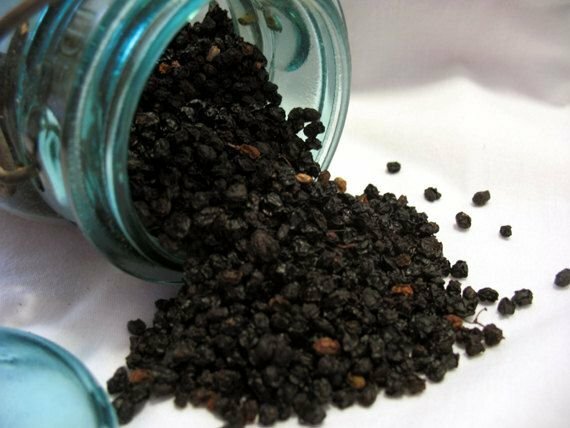 Elderberries are a rich source of vitamins A and C, which are crucial in helping the body maintain optimal health. Plus, the bioflavonoids in Elderberry Syrup boost the body&apos;s immune system by increasing antioxidant levels. A daily dose can assist you in preventing both acute and chronic disease. Decrease the length and severity of your flu symptoms. Common flu symptoms like fever, chills, sore throat, muscle aches and fatigue may go away faster if you take Elderberry Syrup as recommended. 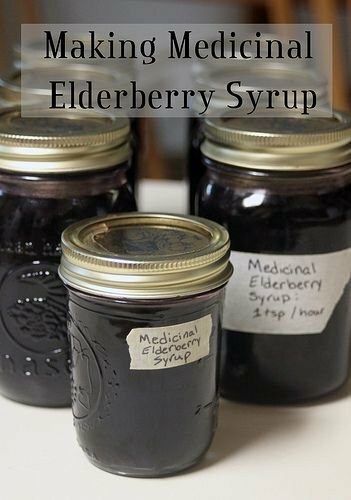 According to a study in the Journal of International Medical Research, patients given Elderberry Syrup recovered an average of 4 days faster from the flu than those not taking the supplement. Elderberries have even been shown in the labs to help prevent swine and avian flu strains. To make the syrup, combine the berries and herbs with cold water in a pot and bring to a boil. Reduce heat and allow herbs to simmer for 30 to 40 minutes. Remove from heat and mash the berries in the liquid mixture. Strain the berries and herbs through cheesecloth and squeeze out the juice. Measure the liquid and add an equal amount of honey. Gently heat the honey and juice for a few minutes until well combined. Do not boil! Bottle in sterilized glass. Take normal dosage every 2-3 hours the minute you feel a cold or flu coming on instead of once a day. Continue until symptoms disappear. How long does Elderberry Syrup last in the fridge? It depends. If you place the finished syrup in a mason jar while it is still warm it creates an air-tight seal and allows it to last much longer in the fridge, up to several months. As a general rule, it lasts about two weeks in the fridge and you can freeze whatever you won’t use during that time. You can also freeze small amounts in an ice-cube tray and defrost small amounts when needed. Elderberries the following recipe is provided. You can also freeze fresh Elderberries and use in the same recipe. Put Elderberries in a pot with half their volume of water. Simmer and stir occasionally for about 2 hours or until reduced by about half. Strain the berries and squeeze out the juice using cheesecloth or a jelly bag. Unlike making jelly, you want to squeeze the berries and get out as much of the juice as possible rather than letting it drain on its own. These measurements are approximate, a little more or a little less of any of them isn’t going to ruin your syrup. Return this pot to the stove and simmer for 20 minutes. Strain and bottle. You can store the syrup in the fridge or freezer.